You are here: Home / Press Release / 2016 / Southern Virginia ICAC, with Georgia Authorities, Arrests Angelo Paderes. Southern Virginia ICAC, with Georgia Authorities, Arrests Angelo Paderes. Bedford, VA – On Monday, June 6, 2016, Angelo Paderes, 26, was arrested in Georgia, on charges related to an investigation in Bedford County, VA, by the Bedford County Sheriff’s Office, Internet Crimes Against Children Task Force. 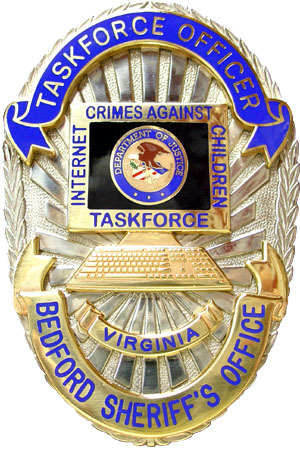 Paderes was being investigated by Bedford County investigators assigned to the Southern Virginia Internet Crimes Against Children Task Force. He had been in contact with an underage juvenile in Bedford County, and was being investigated for those communications. Paderes and the juvenile victim had initially met via an online gaming system, and then had continued their relationship on other digital communications media. On Sunday, June 5, 2016, investigators were notified that Paderes had traveled to Bedford County, to try to meet the 14 year old juvenile victim. As part of an elaborate attempt to contact the juvenile victim, he had forced a woman and her 2 year old child that he had picked up under false pretenses in North Carolina, to drive to Virginia with him, where he ultimately left the woman and took her 2 year old child. Investigators immediately began the search for the child and Paderes. The child was safely rescued, after several hours. Paderes is currently being held in Georgia on abduction charges, and is awaiting transfer back to Virginia. He is facing additional charges related to the communication with the juvenile victim, in both here in Virginia, and in other states. This case was worked with law enforcement agencies in other states and with the US Army, CID Unit, Fort Benning, GA. There will be no further comment, as this investigation is ongoing.